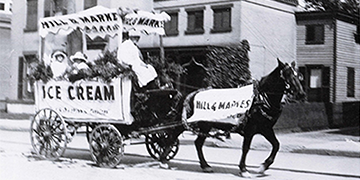 The rich history of Hill & Markes, Inc. dates back to 1906 when it was founded as a candy, ice cream, and ice cream cone distributor by Amos Hill and Charlie Markes. Amos and Charlie made deliveries by horse and buggy throughout Upstate New York, even during the harsh winter months. 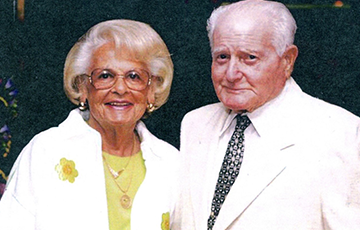 In 1947, Hill & Markes was purchased by Harry and Harriet Finkle. In the 1970's, the Finkle's were joined by Neal Packer, Jeffrey Finkle, and Andrea Finkle Packer. Jason Packer later joined the company in 2008. Over the years, our product lines have expanded and changed, however, the philosophy of providing a good product at a fair price with great service has never changed. Servicing the state of New York and western parts of Vermont, the company has over 50 salespeople and 180 employees. Our trucks can be found traveling from the Canadian Border to the Tapan Zee Bridge, and as far west as Buffalo. Our customers are diverse and we service business sectors including: healthcare, food service, education, and manufacturing. The Hill & Markes family strong believes in being a good corporate citizen. Some of the many charities and organizations supported by the company are: Proctors Theater, Capital Repertory Theater, Glove Theater, and the Saratoga Performing Arts Center. Local agencies such as the Schenectady City Mission, Regional Food Bank, Things of My Very Own, Ronald McDonald House, and many others are recipients of our sponsorships. We have employees that also participate in our annual Blood Drive, Breast Cancer Walk, and donate backpacks for kids in local schools. In 2005, Hill & Markes became a member of Network Services, a collaborative organization that is the premier association for a limited number of top distributors throughout the world. 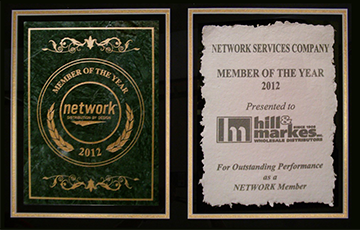 Our company was awarded "Member of the Year" in 2012 by Network Services. Hill & Markes will continue to be a part of Network Services for its expertise in distribution success. We pride ourselves on consulting with our customers and providing the best solutions possible. We have the expertise to offer high-quality products that improve processes for our customers. In addition, we regularly provide training at our state-of-the-art training, LEED certified facility or at our customer's location. Our partnership with recognized manufacturers ensure we are showcasing today's leaders. 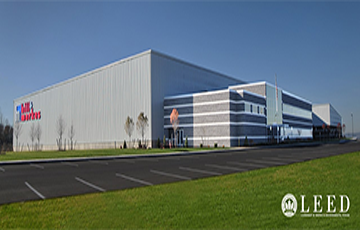 Hill & Markes is celebrating 110 years as a janitorial, industrial packaging, food service, ice cream supplies, and office supply distributor continuously located in Amsterdam, New York. As a family owned business, our leadership is now in the 3rd generation. The vision of this family business is to continue to grow by providing our customers with innovative products, cutting edge technology for easy ordering, and best in class customer service.